Almira Christena Miller Bolander: Myra, as she was known, was born May 13, 1898, in Lehi, Utah Territory to Martin George and Emily Lavina Williams Miller. 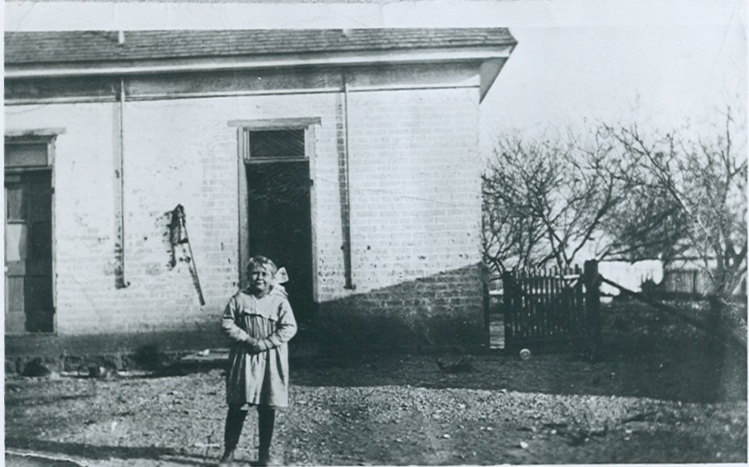 When she was four the family moved to Magrath, Alberta, Canada where her father took up farming. She started school at six and was left-handed but a French-Canadian teacher soon “cured” her of that by hitting her with a leather strap about 3 feet long and as round as a finger every time she put her pencil in her left hand. There were a lot of people from Lehi living in the area and they had a Lehi reunion every summer. One time, as they were leaving that celebration they could see a fire in the distance and it was their home, which burned to the ground with everything they owned except the clothes on their backs. They rebuilt and stayed until 1909 when they moved to Winder Ward in Salt Lake City. When Myra was 15 she went to work for the Utah Candy Company in Sugar House, then worked at the ZCMI shoe factory. 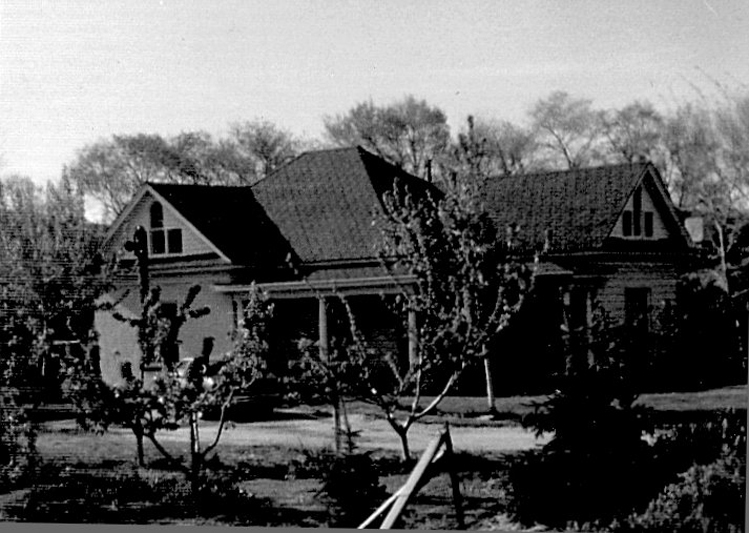 The family moved to Highland in 1918, living in her uncle Boise Wells home (#76 on the 1958 Highland map - interactive, larger -10595 N 5600 W). She was called by Bishop Wayne Booth to serve a mission in the Central States Mission from March, 1921, to July of 1922, when she became ill and had to return. She worked at the Utah Poultry Dressing Plant until 1940 when she married Hyrum Peter O. Bolander in the Salt Lake Temple and they moved to Ogden. Hyrum was born November 28, 1889, in Aalborg, Denmark to James Christian and Anna Patrina Jenson Bolander. They had no children of their own but Myra was like a mother to many of her nieces. Hyrum died August 3, 1954, and Myra died April 13, 1982.